Book Latitude Line tickets now, a Portland and Bend Luxury Transportation Connection. We take our environmental responsibilities very seriously and have gone far beyond industry standards to achieve environmental excellence. 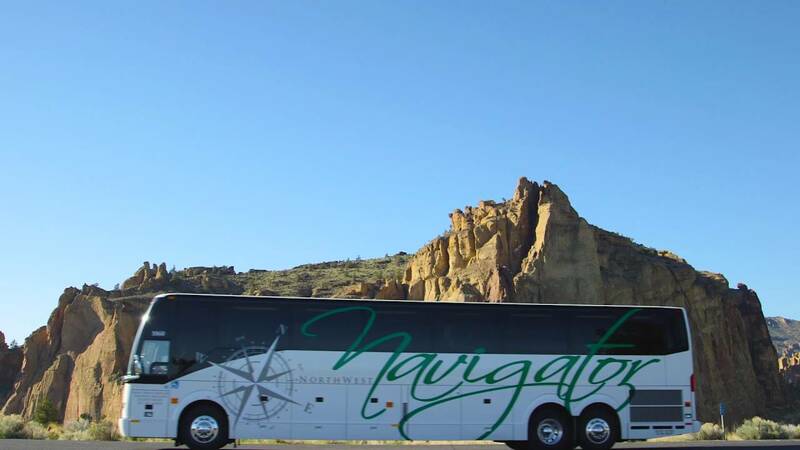 NW Navigator’s mission is to provide exceptional service, with high quality, safe and reliable motorcoach charter service in Oregon, Washington and beyond. We are the best at what we do, but do not take our word for it! Our business practices and commitment to quality and safety are noticed both near and far. Receive a $25.00 Amazon gift card with any new charter booked before the end of the year! Luxury Equipment at it’s Finest! If you’re looking for a more luxurious transportation solution that still fits in your budget look no further, Northwest Navigator is Oregon’s leader in providing the luxury services and equipment you want! Helping to take cars off of the road, one trip at a time.